I’ve recently purchased a grill for my worktop (similar to this Tefal one) and it is absolutely my new favourite toy. Having recently moved into a flat, and therefore not being able to have a barbecue, it has definitely been fulfilling my open grill needs.. despite the lack of flame or coals. It’s just so easy to open it up and cook everything on it really simply and quickly. My one also has interchangeable grill plates so I can switch from a flat plate to a grill to suit my needs. It’s also, obviously, very good for toasted sandwiches. But enough about my exciting new toy, and more about what I’ve been cooking on it… As much as I love to come up with lots of exciting new concoctions in the kitchen, sometimes the best dinners are just good basic ingredients cooked well. 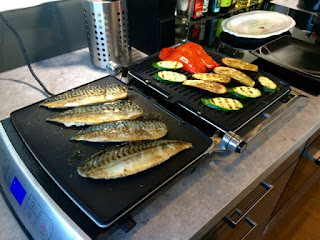 One of my favourite things to do on my new grill is open it out, cook some fillets of lovely fresh fish on one side and mediterranean vegetables on the other. 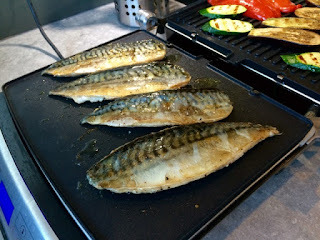 Mackerel is something that more often than not I have smoked. 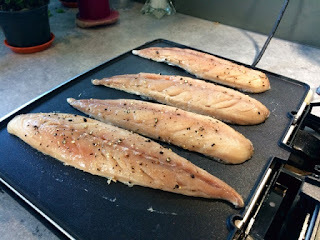 Buying those packets of smoked fillets comes in so handy in my kitchen and they get thrown into everything from packed lunches, to eggy breakfasts to pasta bakes and fish stews. I thought it would be nice just to cook a fresh fillet for a change. 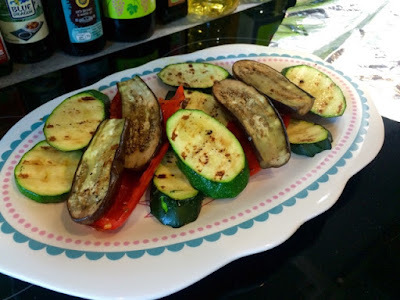 Along with most of the veg, all I had to do with it was a quick dash of seasoning, whack it on the grill and watch it cook. Cooking really doesn’t get easier than that. I could have put the tomatoes on the grill too but I find they come out a little sweeter and juicier when roasted in the oven. 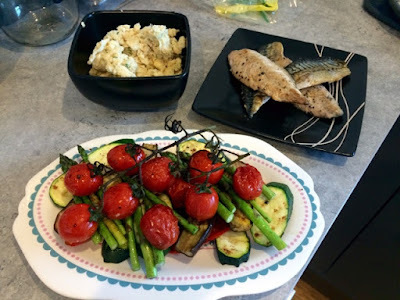 The fish and the vegetables are more than enough to fill you up (especially with the amount of veggies I cooked!) 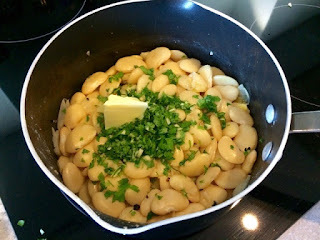 but I’d seen a recipe for butterbean mash and thought it would accompany this dish well and decided to give it a go. It made quite nice change from heavy potato mash. 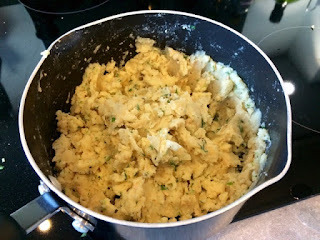 I love a good buttery dollop of mashed potato so I’m never going to tell you this was better but it makes a really nice alternative if you want to mix things up a bit and also to accompany lighter dishes where ordinary mash wouldn’t have a place. 2. 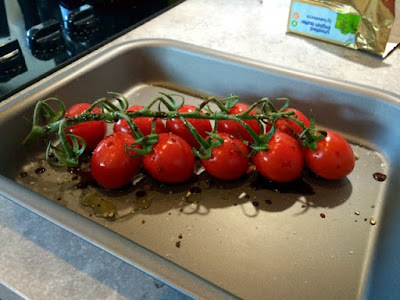 Place tomatoes on the vine in baking tray, season with salt and pepper, drizzle over a little balsamic vinegar. Roast in the oven for 10-15 minutes. 3. 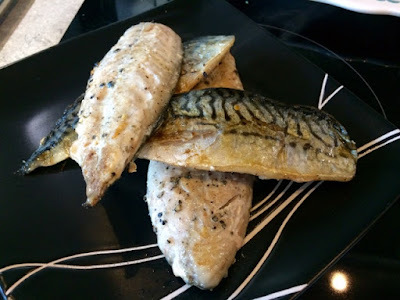 Meanwhile season the mackerel fillets with salt and pepper. Place them on a hot flat grill or in a large frying pan skin side down. Fry for 3-4 minutes on each side. 4. Brush vegetables with olive oil and season. 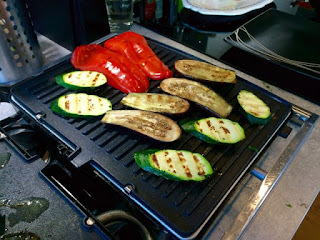 Place peppers, aubergines and courgettes on a hot griddle, turning regularly until vegetables are cooked. 5. 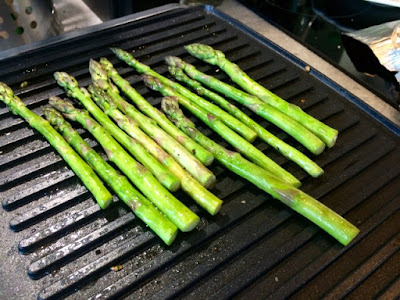 On another grill or pan, do the same with the asparagus. Regularly turning until cooked and lightly charred. 6. 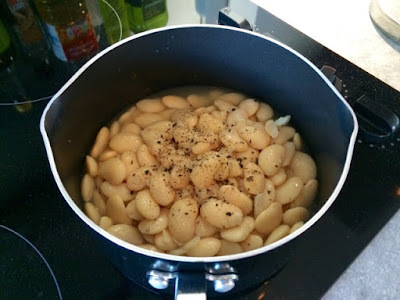 Meanwhile, pour the butterbeans and the water from the tin into a saucepan, season with salt and pepper and gently heat through. 7. When hot, drain the liquid, add the butter and parsley and mash everything together. Add the oil a dash at a time stopping when you’ve reached a nice mash consistency, it can be a little dry without this. 8. Remove tomatoes from the oven. 9. 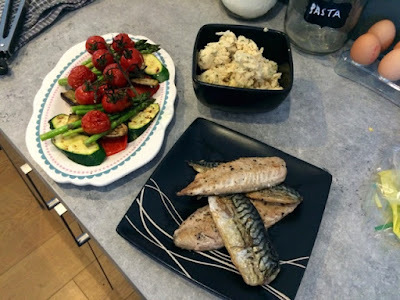 When cooked remove the fish and all the vegetables from the grill and plate up. Spread vegetables on a platter and top with the roasted tomatoes. 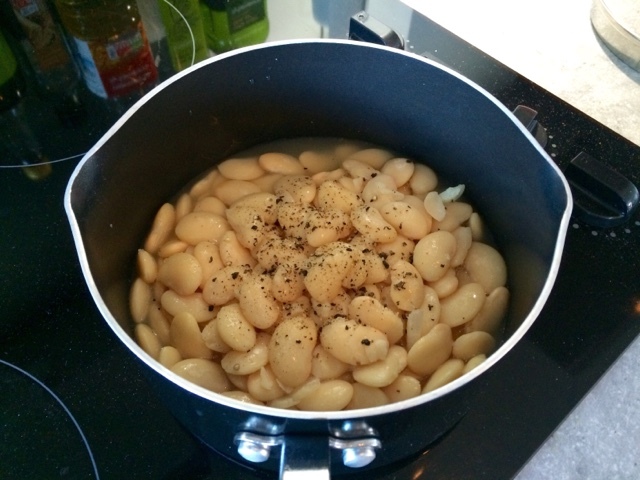 Spoon butterbean mash into a bowl and place everything in the centre of the table for everyone to help themselves.